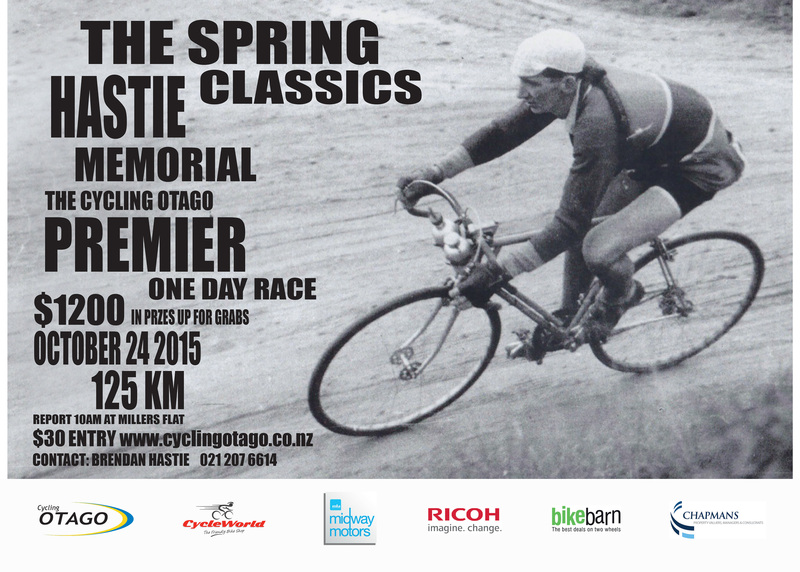 Hastie Memorial – Cycling Otago Inc.
Cycling Otago’s premier one day race is soon upon us. Be a part of this Iconic event taking in 125km of amazing roadways from Millers Flat to Mosgiel. As at 31st December 2018. Note minimum age is U19.